Ripe mangoes - 3 large or 4 medium mangoes. Half and half or heavy cream - 2 cups. Sweetened condensed milk - 1 cup. Powdered sugar - 1/2 cup (or as needed, depending on the sweetness of the mangoes). 5 tbs Chocolate sauce - to drizzle on top. Peel and slice the mangoes. Blend them to a pulp. Strain this pulp if the mangoes are too fibrous. I had slightly more than 3 cups of strained pulp. 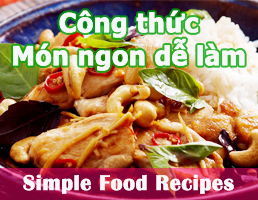 You can use 3 cups of canned pulp as well. In a large blender, combine the half and half, condensed milk and mango pulp, adding powdered sugar as required. We add powdered sugar since it dissolves easily and you will not end up with a grainy texture. You can also do this in a large mixing bowl with a whisk or hand-held beater. Pour the mango ice cream mixture into a freezer safe bowl. Cover and freeze for 1-2 hours till the edges begin to freeze. Take the ice cream out and break it up. Blend/whisk till creamy and return to the bowl. You can do this partial-freeze/blend routine once more if you have time, otherwise simply freeze the ice cream for 6-8 hours or overnight. Let ice cream stand on the counter-top for 4-5 minutes before scooping and serving. 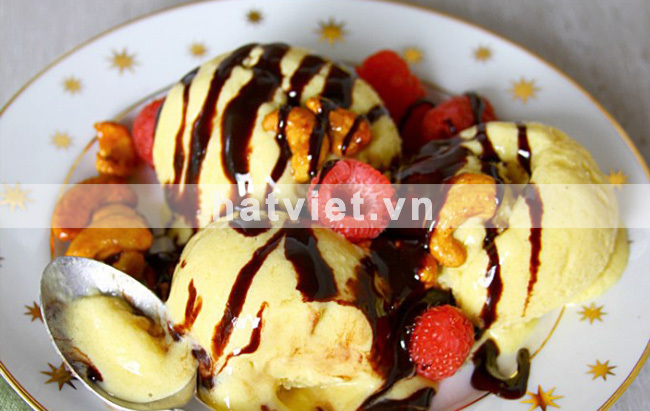 Place the scoops of ice cream in a bowl or dessert plate. Scatter the berries and cashew nuts on top. Generously drizzle chocolate sauce on top. Repeat for as many servings as you need. Serve immediately.